The magnificent array of decorative antique pendulum Marble Clocks offered by our company is designed by our team of skilled craftsmen. 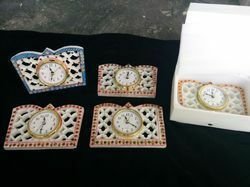 Our Antique mantle marble clocks are highly popular for striking designs, durable construction and effectual functioning. 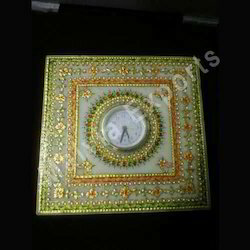 The antique pendulum marble clocks comes at highly competitive prices. 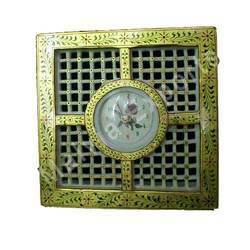 These antique mantle Marble Clocks are highly demanded in the national as well as international market. 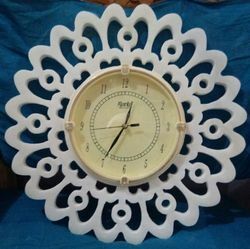 Sunflower Marble Clock offeredcome in exclusive smooth finish designs and comprises exquisite collection made using superior grade marble stone which makes it highly exciting option to be used as a functional and decor item support. Further, its exciting and attractive finish designs also make these highly demanded by the customers. Some of its features include support demands of enhancing the décor value of surroundings; rich ethnic designs; perfect choice for meeting demands of both functional as well as interior decor needs; smooth shiny finish making them all the more wanted by customers. 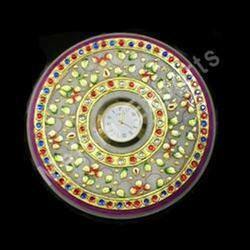 We are a leading manufacturer and supplier of Round Marble Clock. 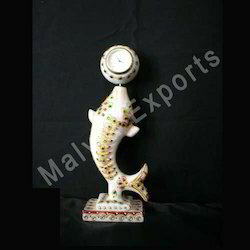 We are recognized as one of the prominent manufacturers of a wide array of marble handicrafts and offer Fancy Marble Clocks from our gamut of Marble Clocks. These are finely crafted by our adept artisans using modern technologies and observing stringent norms of quality. The offered Mantle Clock has exquisite antique design and offers long functional life. It can be used as a decorative item in restaurants, households, resorts and offices, and can also be an ideal corporate gift. These are available at reasonable rates and we ensure timely delivery with quality packaging for safety in transportation. 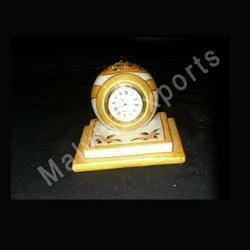 Antique Marble Clock offered are made available by us and comprises exclusively designed antique marble pendulum clocks that are round in finish and 6" in size. Their exclusive finish values make them highly desired as a decorative item for use in places like Restaurants, Households, Resorts, Office as well as other similar places for their high décor values. The striking designs and durable finish also make these highly demanded in the market. 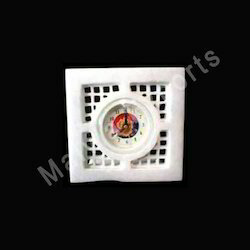 We have gained a formidable reputation for manufacturing a wide gamut of marble handicrafts and present designer alphabet marble clcok, from our array of Marble Clocks. 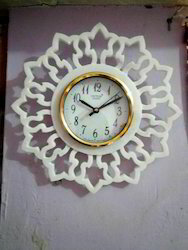 Our adept artisans use modern technologies and follow stringent norms of quality while crafting these clocks. 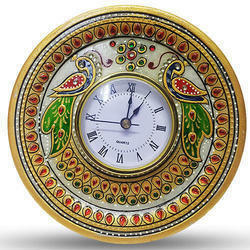 Pendulum Mantle Clock has vibrant colours, graceful antique design and offers long functional life. It can be used as a decorative item in restaurants, households, resorts and offices, and can also be an ideal corporate gift. These are available at reasonable rates and we ensure timely delivery with quality packaging for safety in transportation. 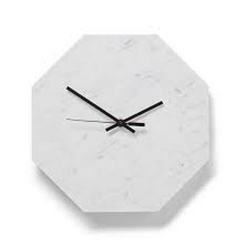 We are a leading manufacturer and supplier of Square Marble Clock. 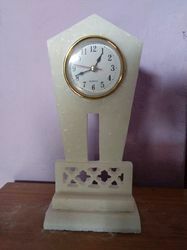 We are a leading manufacturer and supplier of Decorative Marble Clock. 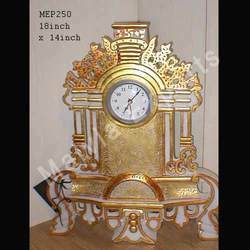 We are a leading manufacturer and supplier of Crafted Marble Clock. 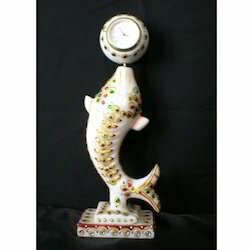 Designed Marble Clock offered is made available by us under item code MEP-229A and comprises Fish watch artwork in antique marble designed finish. Finding high suitability as Corporate gifts, these come suitably decorated in the attractive colored finish in size of 10 inches. 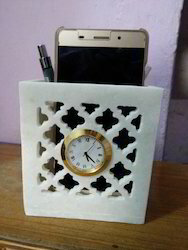 Backed by a vast industry experience of manufacturing a wide array of marble handicrafts, we offer Clock Pen Stand from our broad range of Marble Clocks. These are crafted by our adept artisans using cutting-edge technologies and observing stringent norms of quality. The offered Pendulum Clock with Pen Stand has graceful antique design and offers long functional life . It can be used as a decorative item in restaurants, households, resorts and offices, and can also be an ideal corporate gift. These are available at reasonable rates and we ensure timely delivery with quality packaging for safety in transportation. 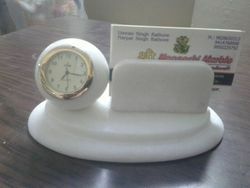 Simple marble clock with Marble netted and meenakari table watch. 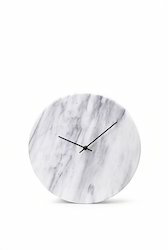 This amazing Marble Clock is an absolute beauty. The solid decagonal disk of white marble and elegant brass and steel arms are a match made in heaven.